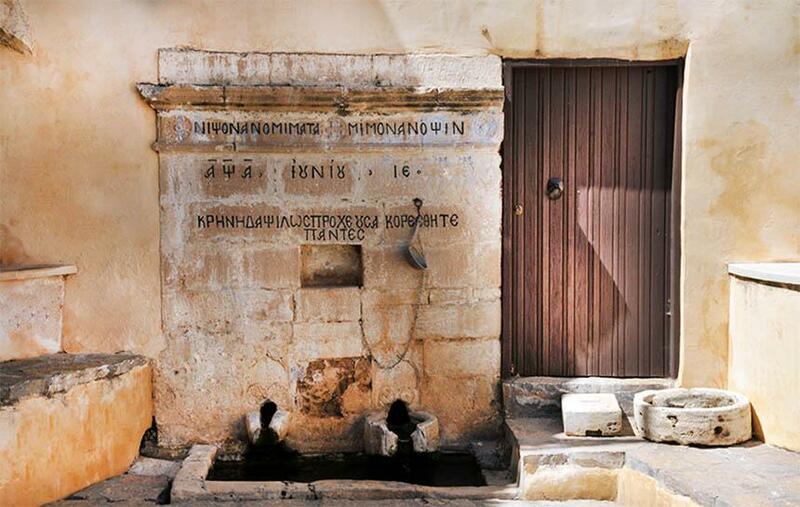 History and Natural Beauty Meet at Preveli, Crete. 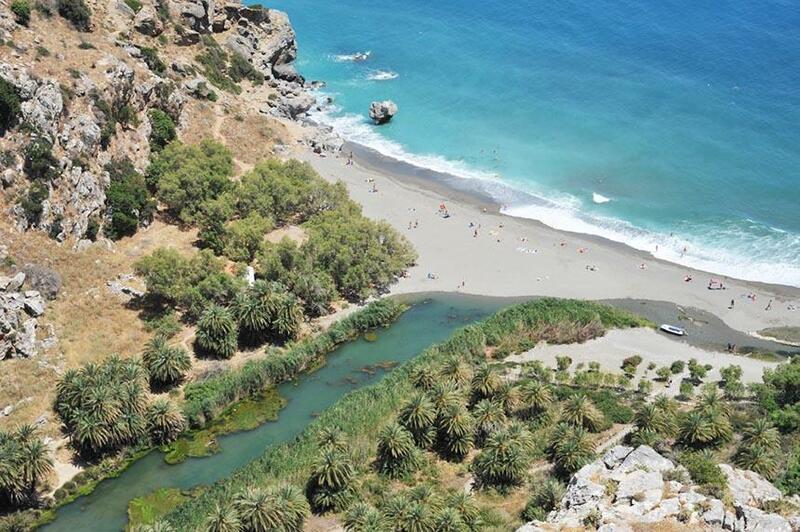 If you choose to be in Rethymno, do not neglect to visit Preveli 35 km at its south, where the internationally acclaimed beauty of the palmgrove overlooking the sandy beach and steep, breathtaking cliffs provide the setting and background where powerful moments in Greek history took place. You can reach the beach by car, and depending on your hiking endurance, you can opt for the parking spot at the cliffs and treat yourself to the amazing panorama of the vista but need to walk a bit afterwards, or the parking at Amoudi where you will not need to scale any steep slopes on foot! The beach itself is unique, giving the impression that a tiny bit of Africa is encapsulated in Crete, with its palm trees and beautiful gorge. The beach is created by a river that forms a lake before it falls into the sea, and thus the waters are always cool no matter how hot the weather becomes. You will have the opportunity to enjoy a range of activities from hiking to sea-biking while enjoying a feeling of primitive purity as the beach has not been developed for tourism and is being protected. Still, civilization is not far away, and you will be able to enjoy eating at tavernas and snack bars nearby. 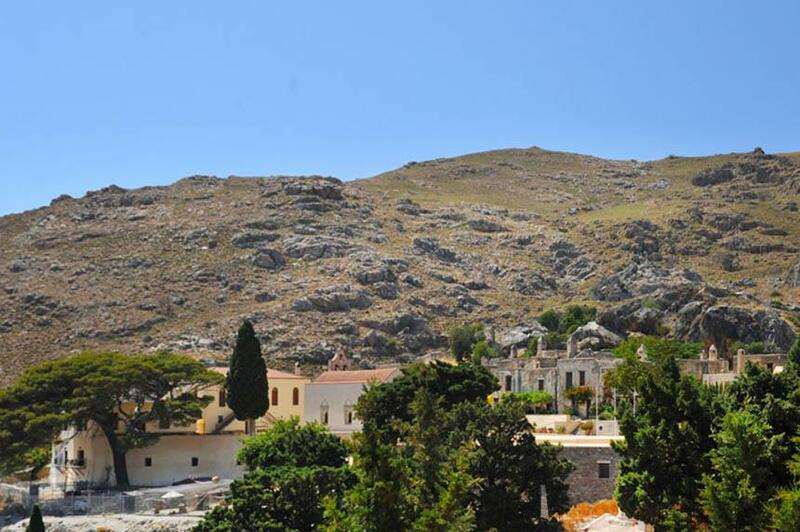 Together with the pure exotic beauty of the beach, river and canyon of Preveli, you have a unique chance to visit the all-men’s monastery, which has historically been the center of several historical events, both in the Greek War of Independence of 1821 and during WWII, where allied troops were given sanctuary against the Germans after the famous Battle of Crete in 1941. As a result of the monks protecting combatants against the Turks in 1821 and the Germans in 1941, the monastery was demolished as reprisals both times, and both times it was rebuilt. As a result, the older building (Piso Monastery) and the newest building (Kato Monastery) offer different relics and icons as well as buildings open for you to admire and visit. All in all, a visit at Preveli has everything- from a tiny bit of exotic Africa to exciting history of heroic stands against terrible odds for the greater good. 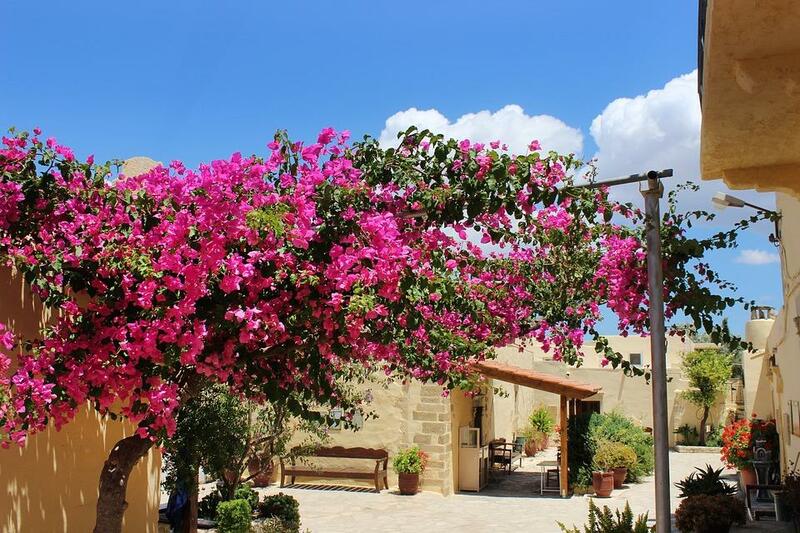 It is a Cretan gem that you simply have to experience, rather than be told about.